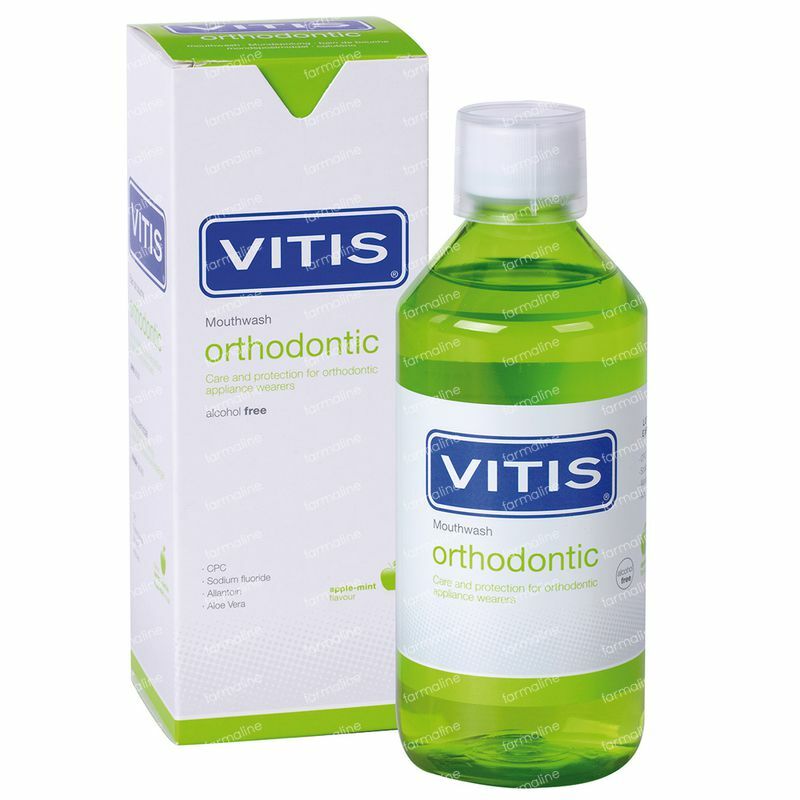 Vitis Orthodontic Mouthwash 500 ml order online. 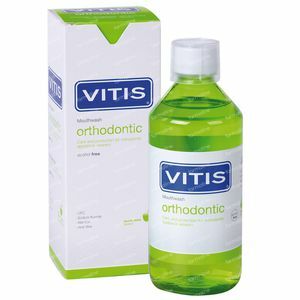 VITIS Orthodontic is a daily use mouthwash that is specially formulated for daily oral hygiene in orthodontic patients. With antiplaque and remineralising properties, it provides the active ingredients necessary for maintaining a healthy mouth on a daily basis. It enhances the effects of toothbrushing with paste because it efficiently accesses hard-to-reach areas of braces and prolongs the retention of the active ingredients in the mouth. The mouthwash promotes complete care of mouth, teeth and gums during orthodontic treatment. 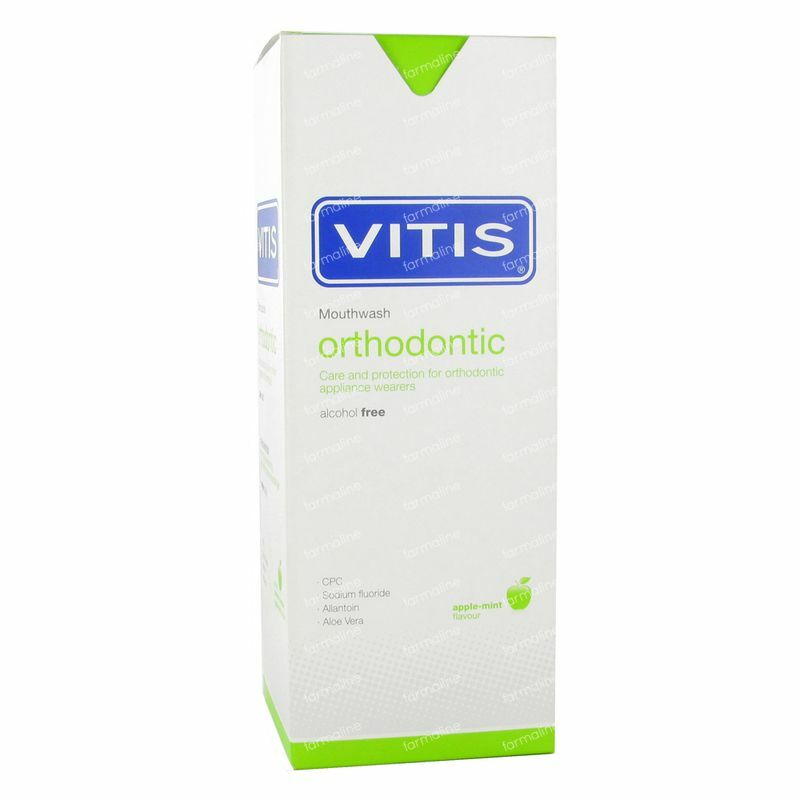 - VITIS orthodontic mouthwash is suitable for people with orthodontic braces (metallic bands on molars, archwires, brackets, bows, ligatures, etc.). - It is also indicated for people who are prone to aphthous ulcers and other types of sores. - Suitable for people with celiac disease. - Rinse with 15 ml of VITIS Orthodontic mouthwash for 30 seconds without diluting. - For better results, do not rinse with water and avoid eating and drinking immediately after using the mouthwash. Daily use antiseptic that inhibits the formation of oral biofilm (bacterial plaque) and reduces its accumulation, controlling the onset and development of gingivitis. Remineralises enamel and prevents dental caries. Protects mouth, teeth and gums.